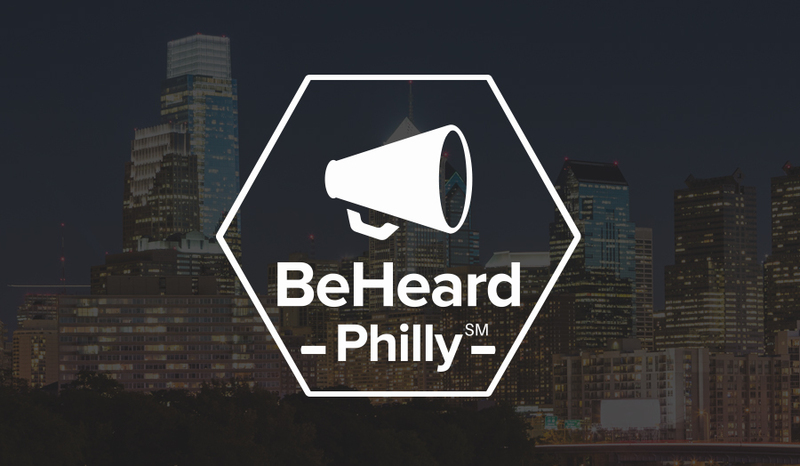 Temple University’s Institute for Survey Research (ISR) developed the BeHeard Philly (BHP) program in 2015. It helps connect organizations to Philadelphia residents through the use of surveys. If an organization, initiative, or municipality has questions, BHP gathers results from the 1.5 million people living in the metro area. The information gained from surveying lays foundation for improvements throughout the city. Humid created an identity system that worked with Temple University guidelines but also speaks to the mission of BHP. In order for BHP to be successful, it’s important that residents trust and are interested in participating in surveys. As a result, their outreach materials needed to match their target audiences. We worked to make sure that the pieces represented an accurate Philadelphia. 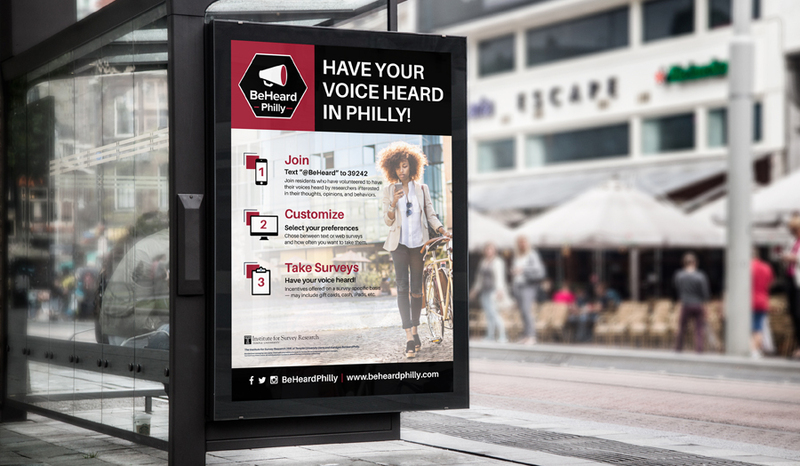 Another challenge for the BeHeard Philly branding, was that it could transform to match the wide variety of organizations it partners with. When partnering with the Water Department, the BHP brand was streamlined and the Philadelphia Water Department was at the forefront of the mail stuffers that went out with each customer’s bill.